It just so happens that my immediate family is spread out across three states and two countries. I really can't complain as I am one of the ones that moved away, but it does get hard at times. It gets especially difficult when someone is in need of a little extra care. My first elaborate family care package was crafted at just such a time. I had too much fun picking out items with the sole purpose of keeping my sister-in-law entertained while she was recovering from surgery. I couldn't make her dinner or take her dog for a walk, but I could give her something to keep the cabin fever at bay. It turned out to be the perfect creative outlet for all of my pent up desires to help, my love of mail, and probably my obsession with washi tape. 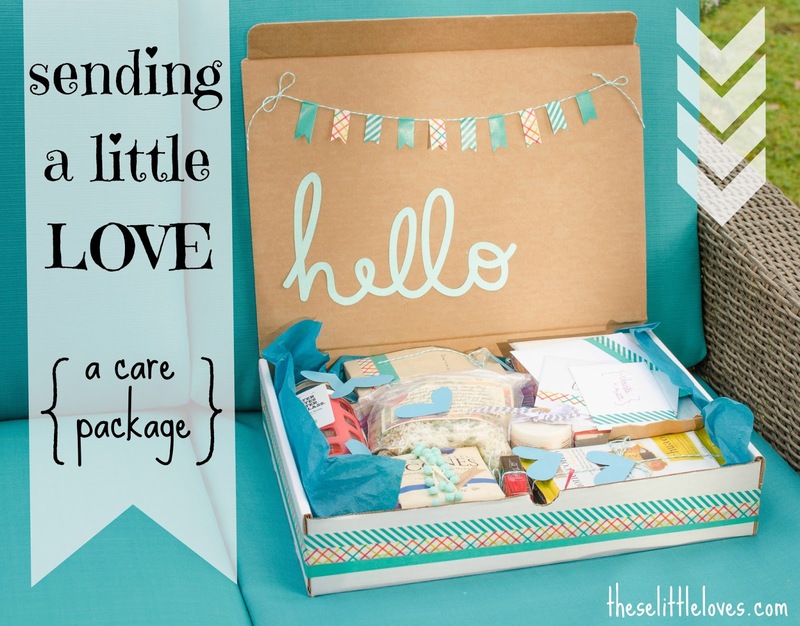 Judging by the popularity of my last care package post on pinterest and the blog, it seems more than a few of you like the idea of sending some love through the mail. In that case, I think we should be friends:). 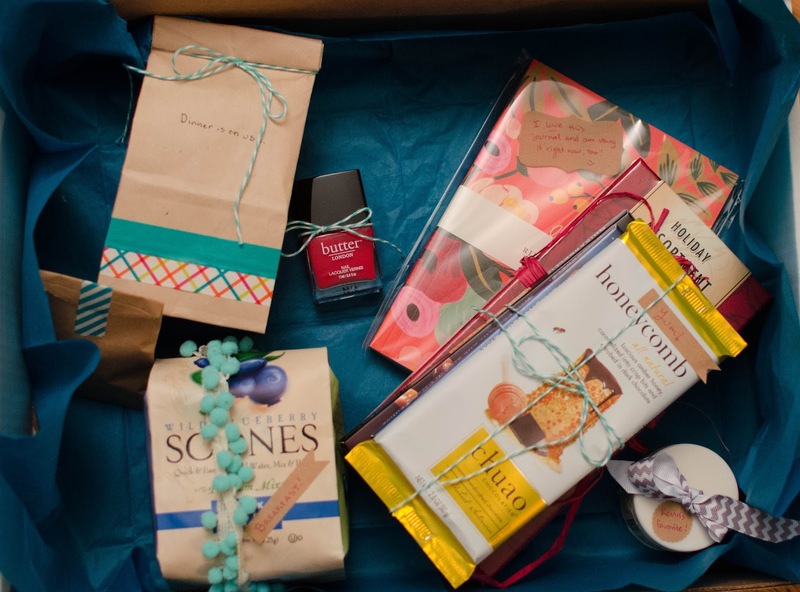 Anyone who likes to make others feel special with surprise gift boxes is awesome in my book. In an effort to provide a little inspiration for your next care package, I thought I would share a few of my tips and my most recent box crafted for a brother and sister-in-law in need of a little love. Starting a care package can sometimes be the most daunting. What do you buy? How much do you get? Etc. My care packages always seem to grow organically. Whether starting from a particular theme or with just a few things that remind me of the recipient, it always seems to come together. My sister-in-law and I share lots of similar interests, so I began this care package by collecting personal favorites I knew she would love: my favorite Rifle Paper Co Journal, Butter Nail Lacquer, a fancy Glass Water Bottle, scone mix, handmade elastic hair ties, and my favorite eye shadow. Though we didn't start with a guiding theme like my 'don't go crazy while getting better' care package, a loose theme of 'sending love' surfaced and I added a small garland to remind them that they are indeed very much loved. No care package worth its weight doesn't have a little chocolate and caramel. Ghiradelli seemed appropriate for a box from the San Francisco bay area. With a little help from the family, the pile of goodies grew from there. 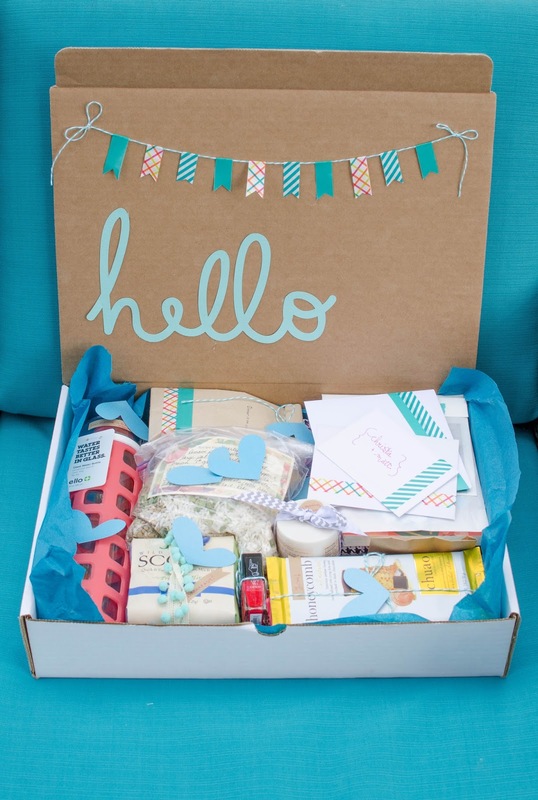 Sending a care package on your own is a great idea, but consider getting others involved. My brother and sister-in-law receiving this box happen to live overseas with no family close, meaning a box from the whole family would be just that much more special. I recruited everyone's help in coming up with ideas and adding gifts. Mom came through in a big way with two dinners in the form of a soup mixes. Coincidentally, I've always thought food should be considered an official love language. It is my book, at least. Thinking that the box was a little heavy on the gifts for my sister-in-law, my husband added his favorite beard shampoo. Men sure do love their beards. Perhaps the most special (read 'tear inducing') were the stack of handwritten notes from each family member. 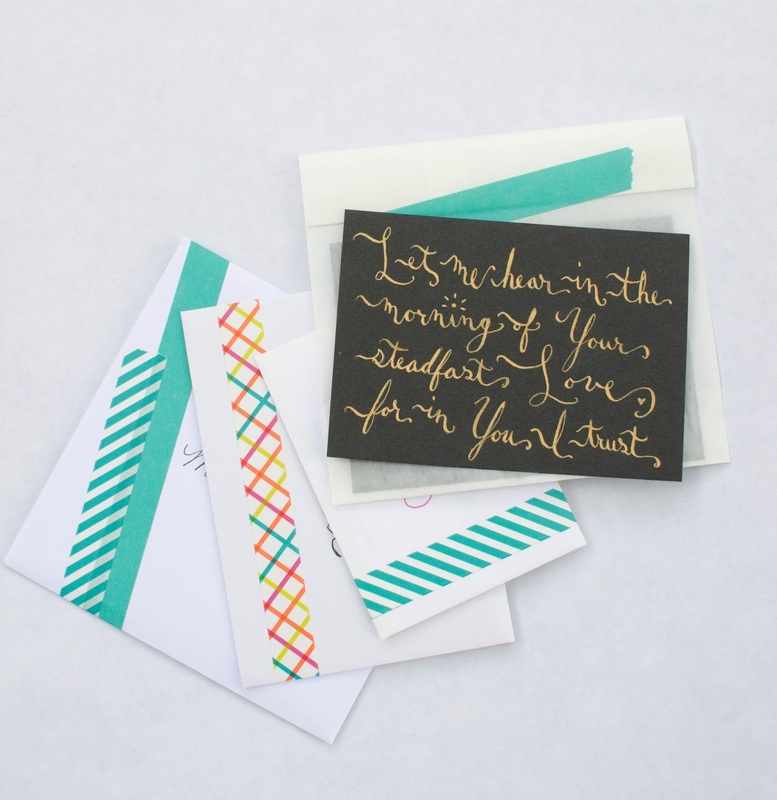 To top off the stack of cards, I calligraphed Psalm 143:8 which has served a trusty reminder to me of God's love. Now that we had a good pile of goodies and notes, I started on the next care package phase - decorating. And with that statement I might have lost you. Yes, I do actually pick color schemes for my care packages. I fully realize this is probably ridiculous, and not everything in the box has to match, but I do pick a few colors to carry into the decorations. 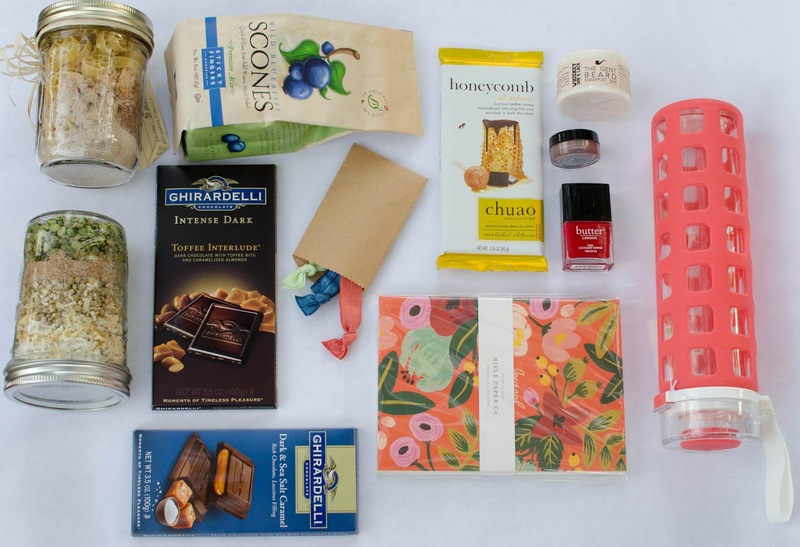 It really makes the care package seem intentional, lovingly put together, and extra special. 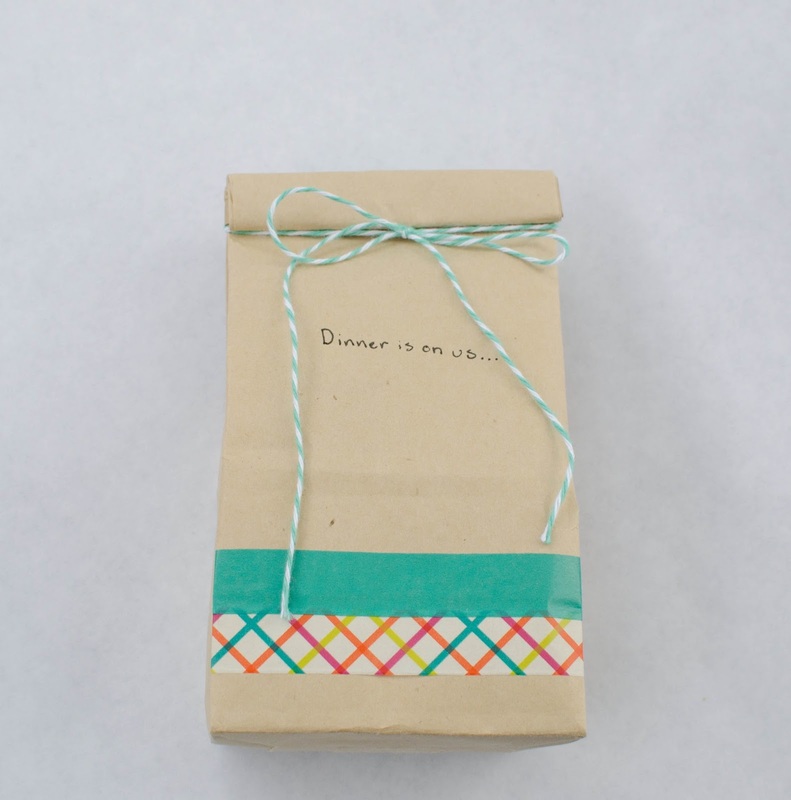 It is no longer a box full of stuff, but a party in a box and a thoughtful gift. 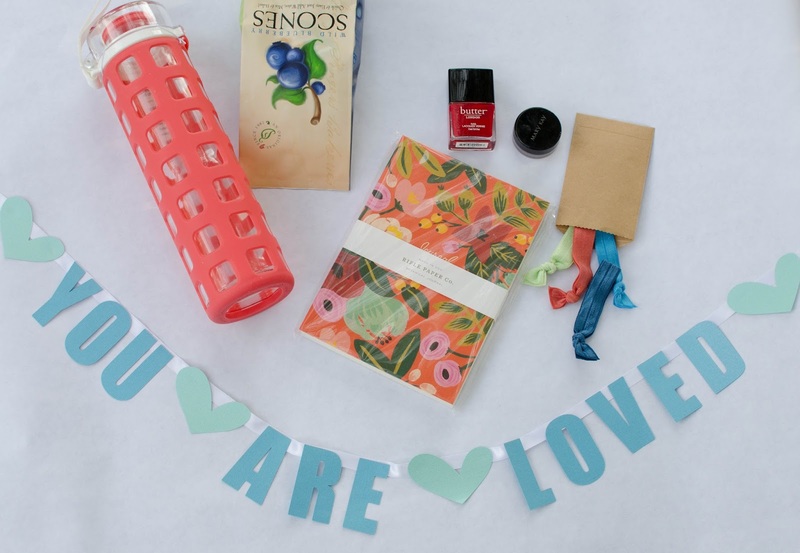 For this care package, the first three items I purchased happened to match and I decided to make coral, red and teal my color scheme. I add bows, tags, notes, bakers twine, washi tape and ribbons to everything. 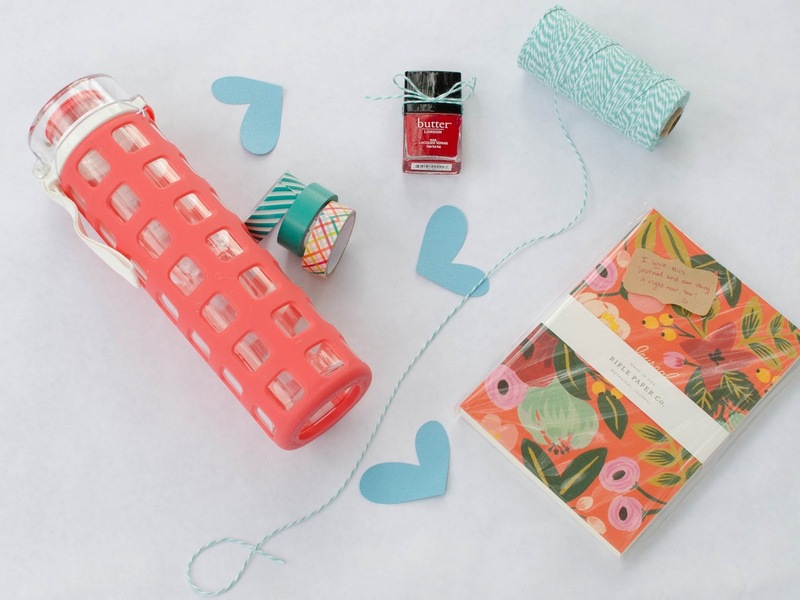 When in doubt, add more washi. I carry the decorations to the inside and outside of the box because it would be a crime to send such a fun care package in a dreadfully boring box. And there you have it. A box chock full of love and surprises ready to make its way to England and brighten two people's day. We packed it all up, sealed it with absurd amounts of packing tape, made the most detailed customs form you have ever seen, and sent it off with love. Three days later we got a phone call and numerous texts as they discovered the little surprises inside :). Mission accomplished. 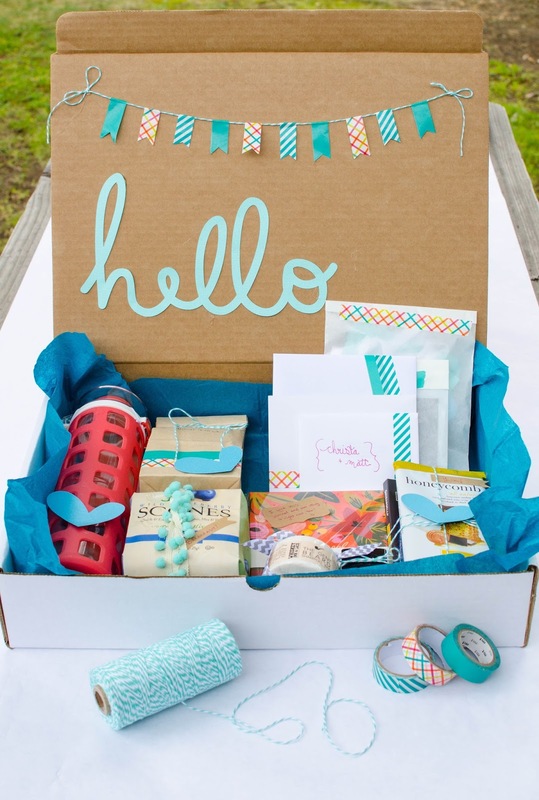 I'd love to see care packages that you put together for your friends and family! Connect with me on Facebook and share your creations!